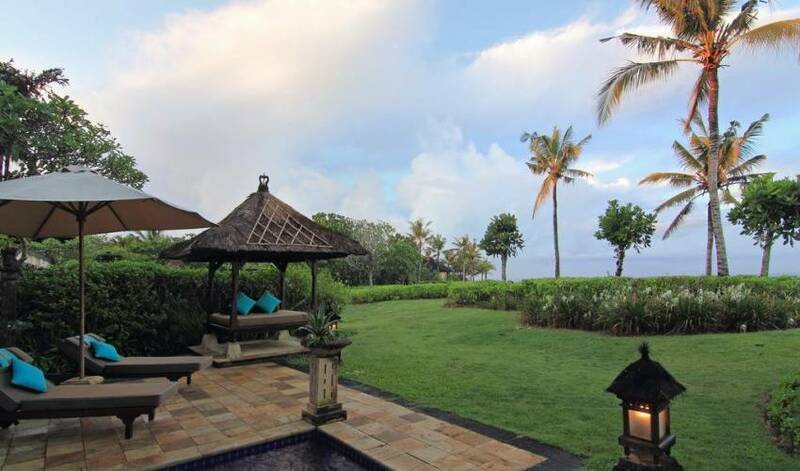 Imagine yourself, after a game of golf on one of Asia's best courses, sitting on the large veranda of this villa (the 7th Heaven), sipping on a cold drink watching the sun go down over the large waves pounding the west coast of Bali with spectacular views of the Indian Ocean. Oh. 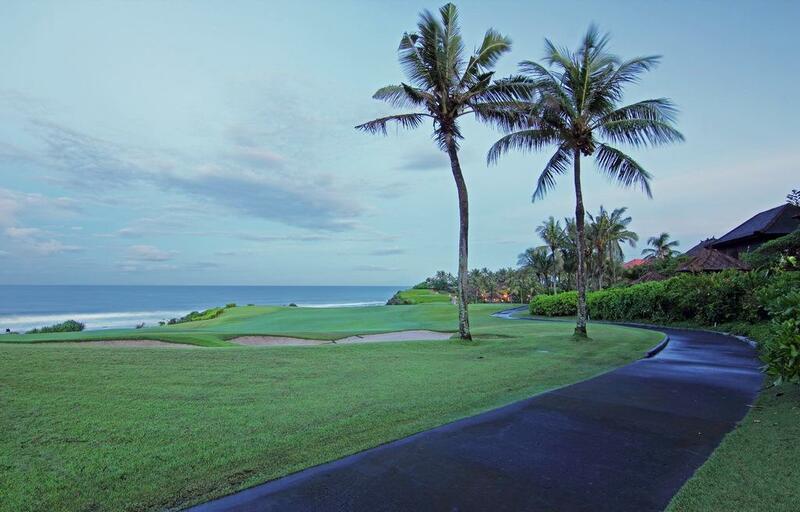 I almost forgot, all that separates you and the sea is the fantastic 13th hole... It just does not get any better than this. 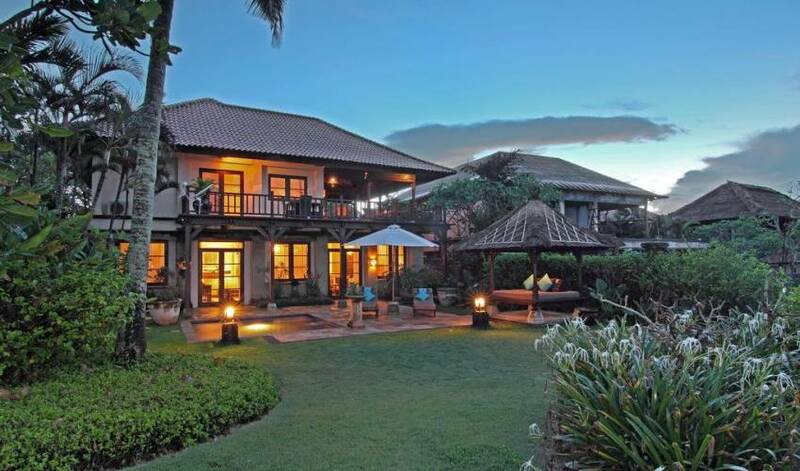 The villa is perfectly situated in the heart of the Bali Nirwana Resort & Spa built within a 100 hectare complex. The villa is along-side the famous 18 hole par 72, Greg Norman designed, signature golf course. 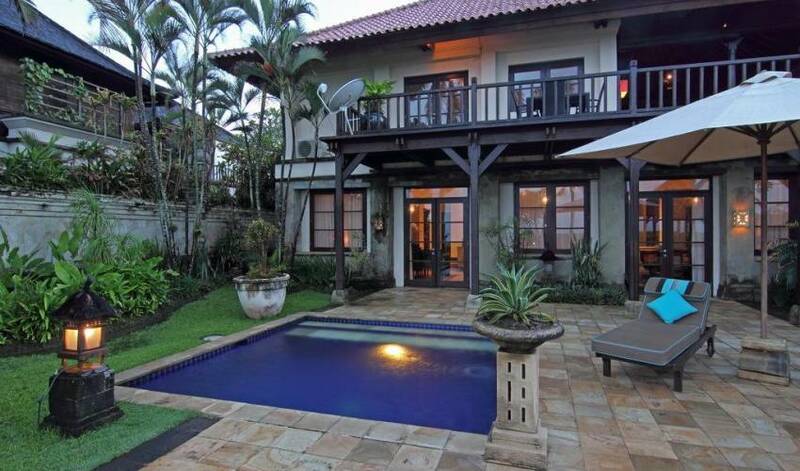 Approximately 45 minutes from the airport and 25 minutes from the popular dining and shopping area of Seminyak. 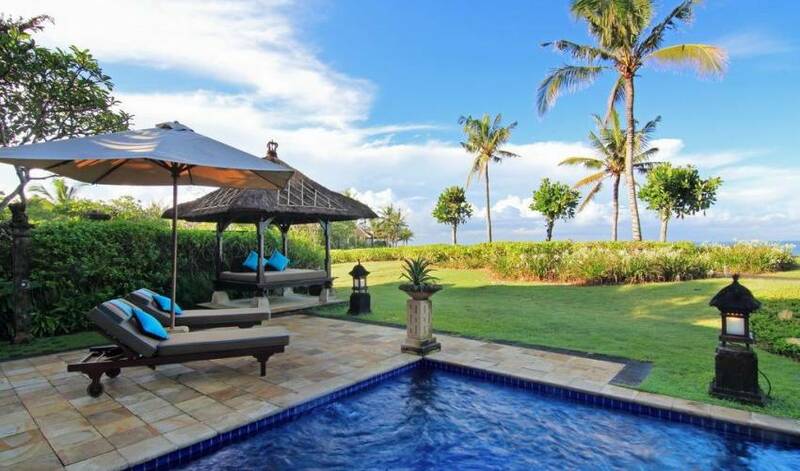 The villa features four spacious air-conditioned bedrooms, three bath-rooms, a huge verandah/outdoor living area (where the daily sea breeze provides and ideal environment to relax and just gaze over the waves), a great lounge room, kitchen and own small swimming pool, as well as bale. 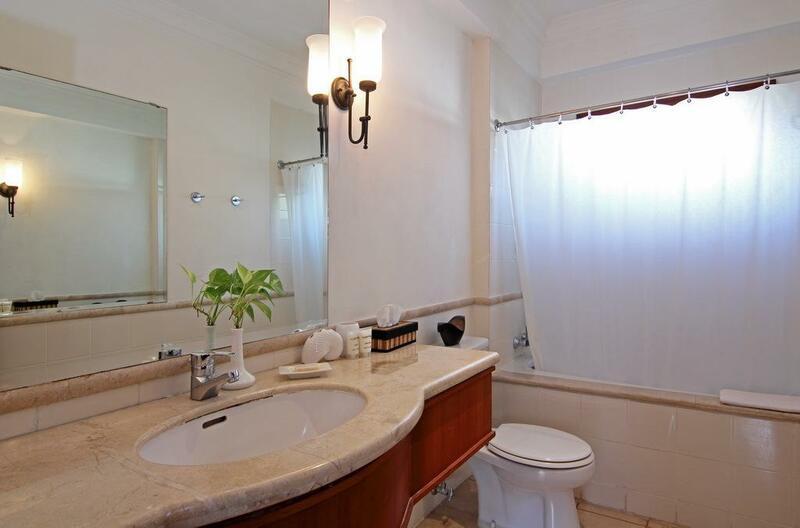 The master bedroom has a queen size four poster bed with mosquito net, access to the balcony with a marble bathroom en-suite with safe deposit boxes. 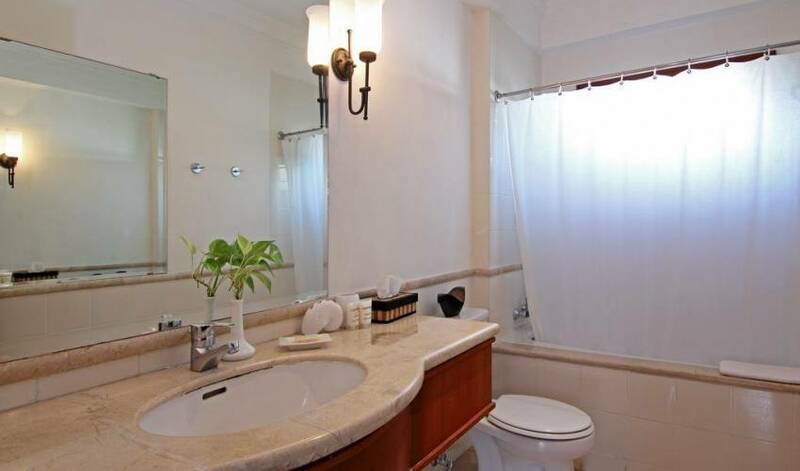 The second bedroom has a queen size bed and the third bedroom offers two single beds with a share bathroom. 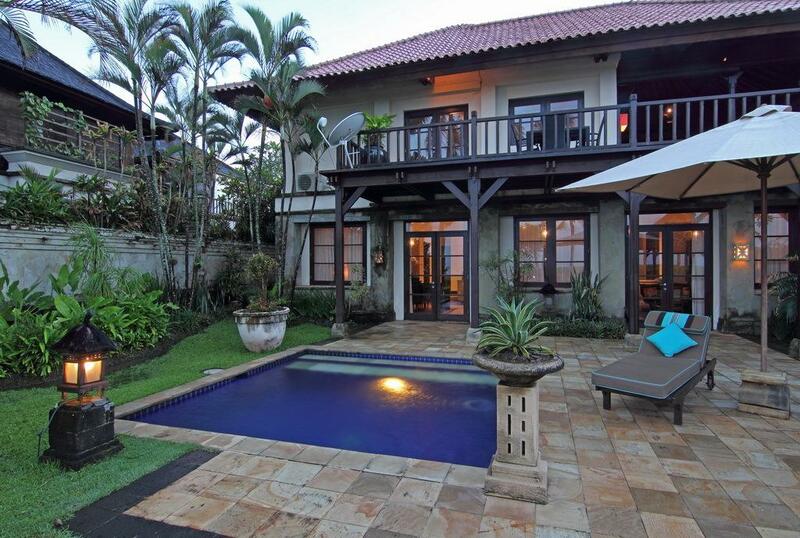 Downstairs is a fourth bedroom with semi open-air bathroom en-suite. Villa 3290 also features a large air-conditioned living area with comfortable seating, dining area, T.V with cable connection, DVD/VCD player and a stereo system. There is also a fully equipped kitchen. 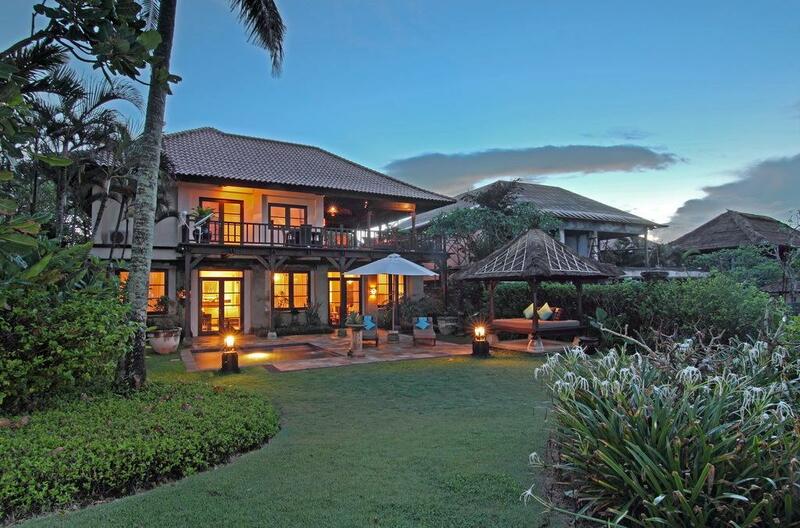 This private villa is simply the perfect paradise island escape. 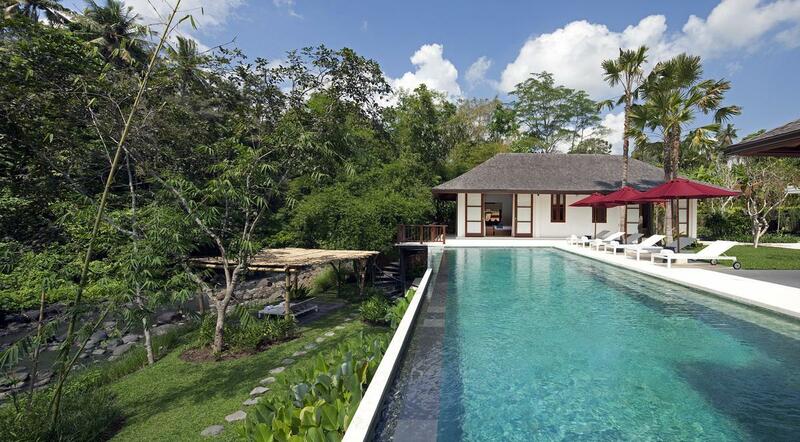 The villa has a private plunge pool with it's own bale bengong. 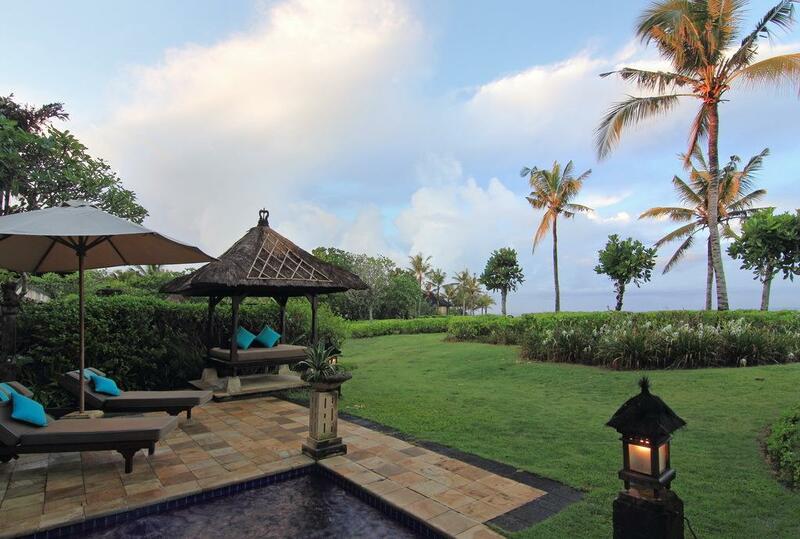 Set admist lush, spacious gardens only 35 meters to the oceans edge. 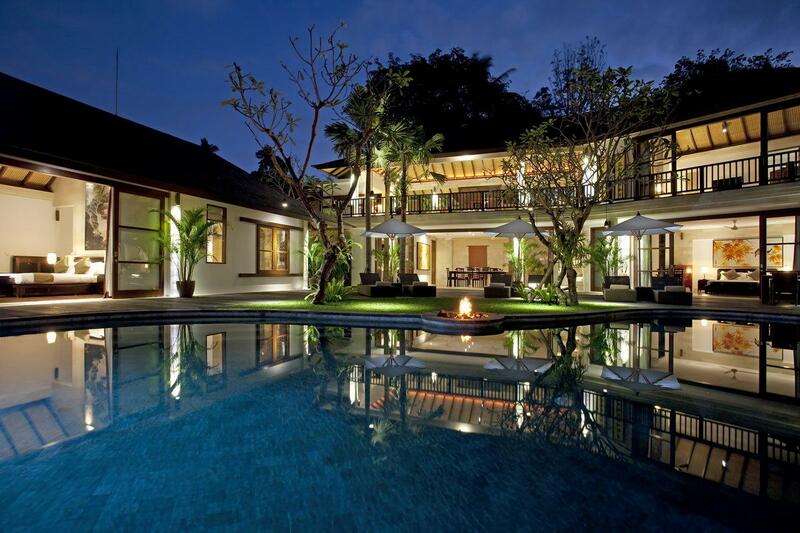 The villa is staffed with 2 housekeepers and cooks, 1 pool attendant and gardener. With 24 hour security the staff are well trained and available to serve your every need to make your ultimate holiday in a private villa both relaxing and trouble free. 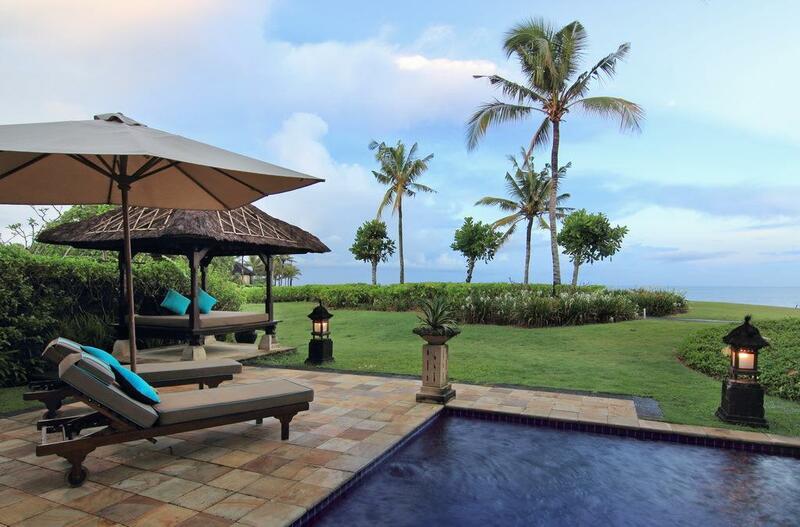 Guests staying here have access to the Bali Nirwana Resort Lagoon swimming pools and kids club at a fee. Golf discounts are also available. Villa guests can use the villa's golf sets consisting of a men's Titleist set and a lady's taylor made set if you don't wish to carry your own. The villa is equipped with its own four seater golf buggy which can be used around the resort. Let our staff purchase your food and beverages from the local markets or delicatessen and arrange lunch or dinner, or take advantage of the restaurant outlets over at the Resort. Don't forget to read our In-villa directory where we give you update information on the best dining, sightseeing, touring and shopping on the island. 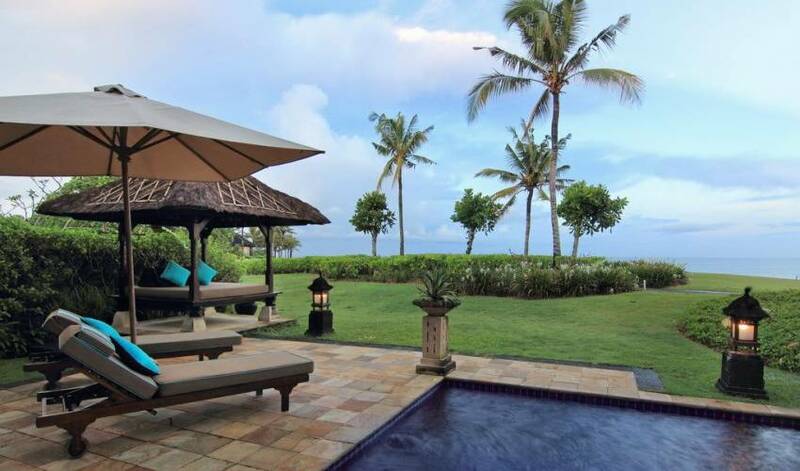 In-villa spa and massage treatments can be arranged on request. Daily car rental with driver is also available at a nominal fee. 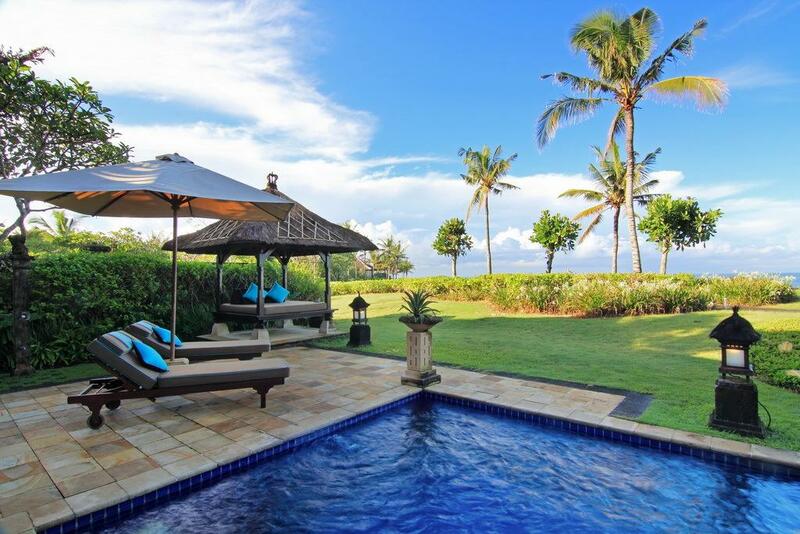 The villa offers affordable luxury private villa accommodation perfect for couples, Honeymooners, families or small groups. Baby cot and high chair available.